TOPIC: This drill is one of the most important drills in The Previdi System. It gets the server to get comfortable playing in any situation when serve and volleying, even if the don't have a partner. 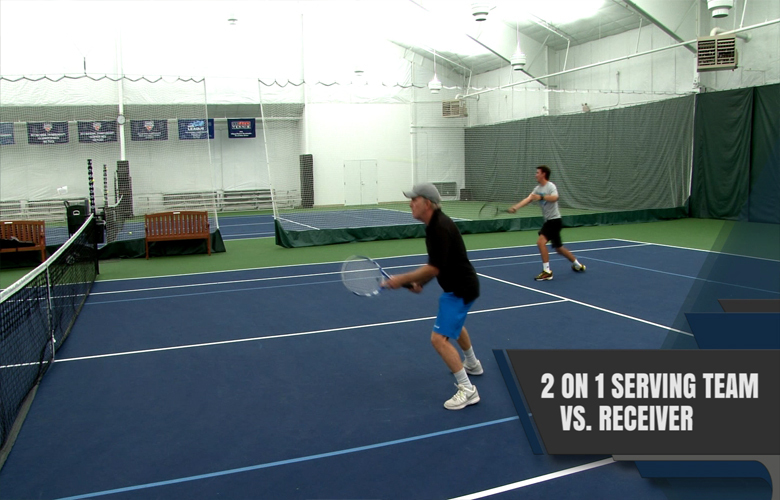 Master this drill and you will hold serve against any team. TOPIC: This is another classic Previdi System drill and will help the serving team to work on isolating the receiver (until they can attack the partner). EFFECT ON GAME: All players will develop great skills and instincts in this drill (game). When you're in a match playing points you will have great court vision and a sense of what to do next that will be ingrained. No thinking, just reacting! 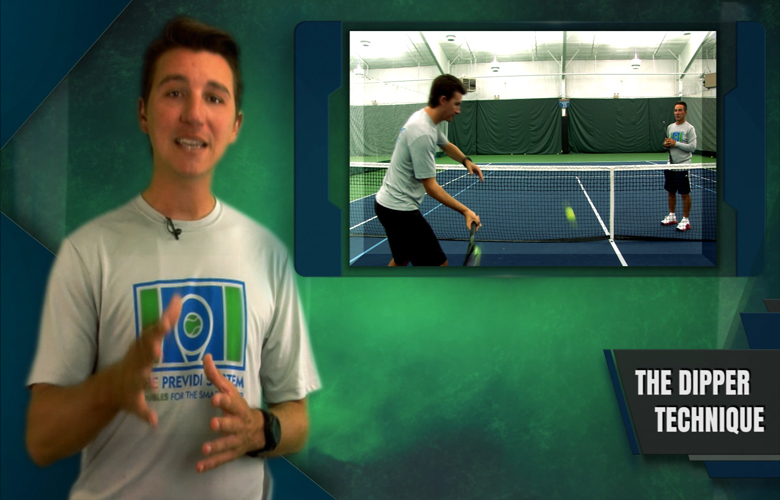 TOPIC: A great way to practice serve and volley vs. return and volley is with this drill. It can also be played as a game. 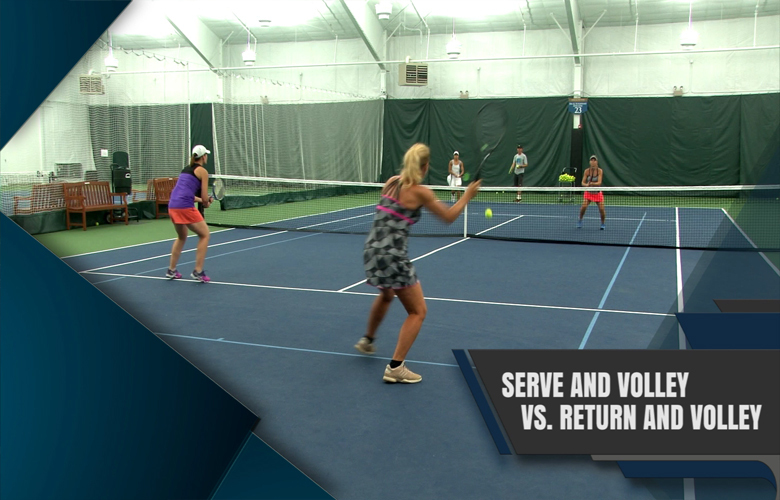 EFFECT ON GAME: By taking the serve out of the equation, we can get the players to work on getting comfortable with the mid court volley in a real match environment with both opponents coming toward the "server." The next drill or game after this one has the players serving four points each with everything else staying the same as depicted here. Once the players have done this hundreds of times they will get better at reading situations and hitting the appropriate type of shot ( neutralizing or attacking) on the mid court volley. Topic: The "Dipper" is the third return of serve in The Previdi System, after SAL and the Offensive Lob. 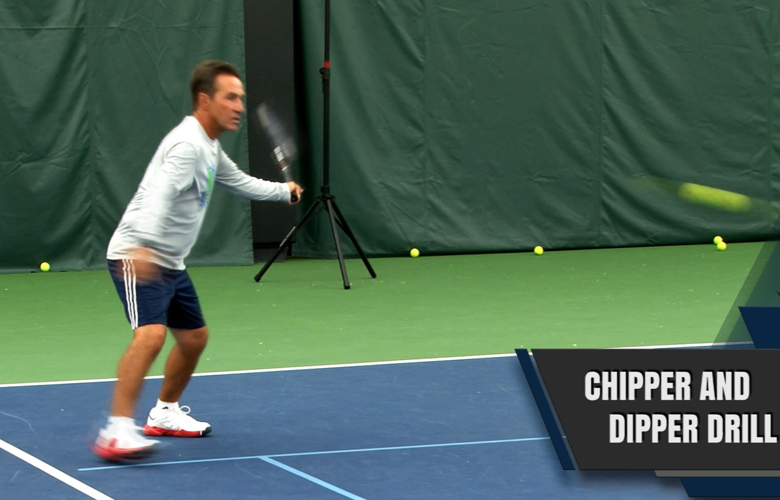 We can use The Dipper to complement The Chipper (or slice) return in both directions on the court. EFFECT ON GAME: The Dipper adds another element to your game. If your opponent has a weak serve, an aggressive net player or you just want to change it up, you can use the Dipper crosscourt to dip it low as it crosses the net. You can also go down the line or inside-in depending on what side you're returning on. You can already hit the Chipper to "Jail" as well as the offensive lob over the net players head. Your opponents won't know what hit them. 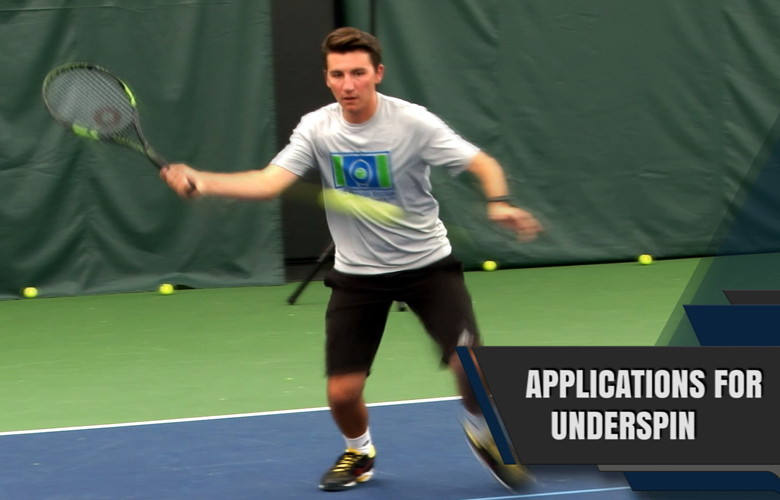 Topic: There are many applications for underspin (slice or chip) in doubles. The beauty of underspin is that it is very versatile. Return of serve, volley, drop volley, offensive lob and returning overheads all use the same basic technique. EFFECT ON GAME: Once you have mastered underspin you will be amazed how much you're using it in a doubles match. It's great for keeping the ball low, reducing the speed of the ball and neutralizing power. TOPIC: In The Previdi System, the dipper is the third return we teach our players. It puts the server on the defensive and keeps the net player off balance. It's nearly impossible to poach on and is a great complement to the SAL and Offensive lob returns. Follow the progression in this video to master the Dipper! EFFECT ON GAME: The Dipper will keep your opponents off balance and add another element to your doubles arsenal. Now you have a nice variety of slower returns as well as faster returns.